The Scientific Committee of the International Biennial of Mantova, composed by Salvatore Russo, Francesco Saverio Russo, Sandro Serradifalco (EA EDITOR of Palermo and the RUSSO Artistic Consulting Studio in Rome) and Paolo Levi (an art critic and writer) selected my work and invited me to the prestigious exhibition that took place in one of the most important art museums, at the DIOCESAN FRANCESCO GONZAGA MUSEUM. 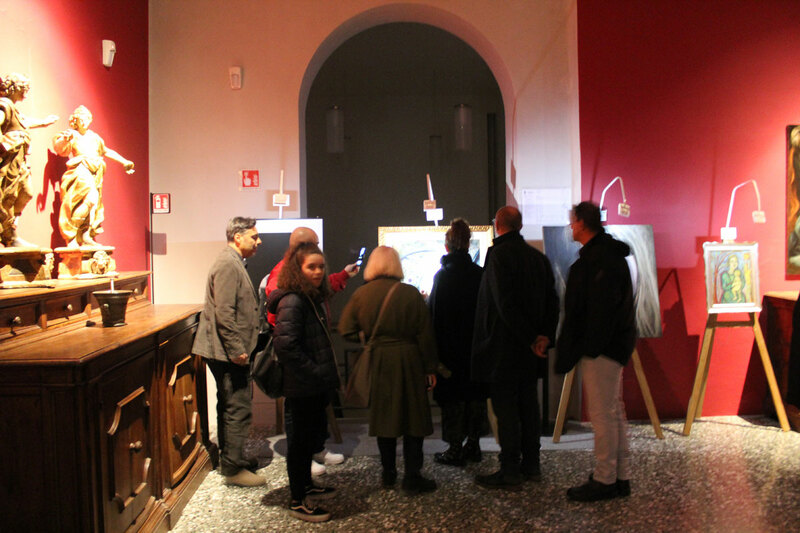 The Mantova International Biennial of Contemporary Art is an event designed to involve many artistic experiences in a great rave world and an extraordinary artistic event. The museum is located in the cloister of the former Augustinian monastery of Saint Agnese, a building rich of history. From an urban point of view, it is located a few tens of meters from the Cathedral and the Ducal Palace. 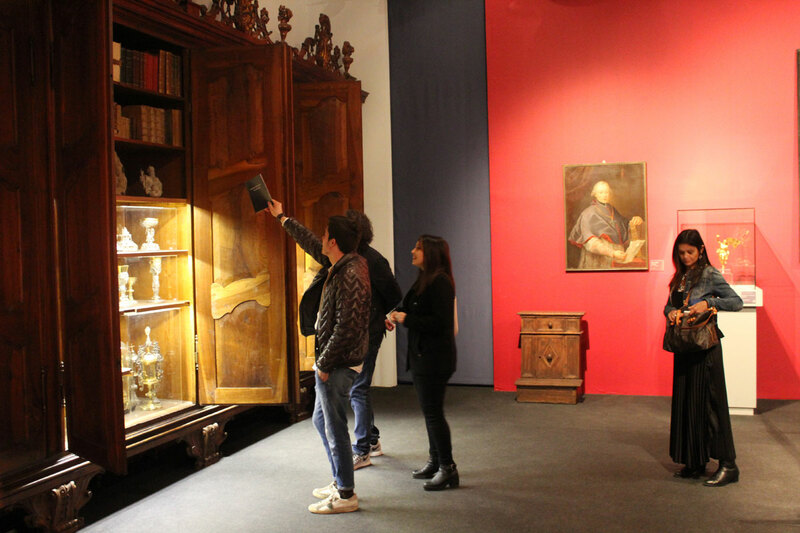 The museum preserves works from the Duomo, the Basilica Palatinate of Santa Barbara, the diocesan territory and numerous private collections. It hosts works by Andrea Mantegna, Correggio, Domenico Fetti, Francesco Cairo. In its rooms, you can see precious objects of the treasure of the cathedral of St. Peter the Apostle and of the Basilica palatina of Santa Barbara as well as a large number of tapestries, ceramics and armour. Painting – sculpture – photography – design – video art in an innovative fruitive experience. 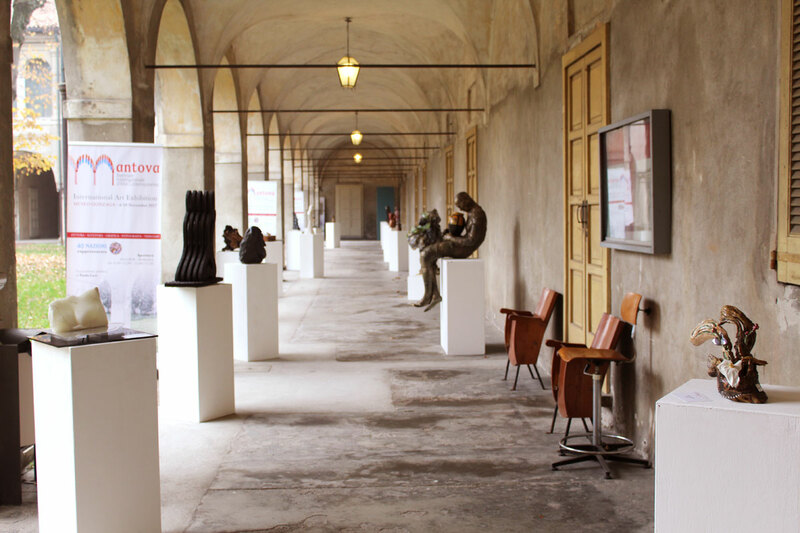 From the 4th to the 10th of November the corridors adjacent to the treasury halls and numerous indoor halls host the work of three hundred contemporary artists from over 40 countries. 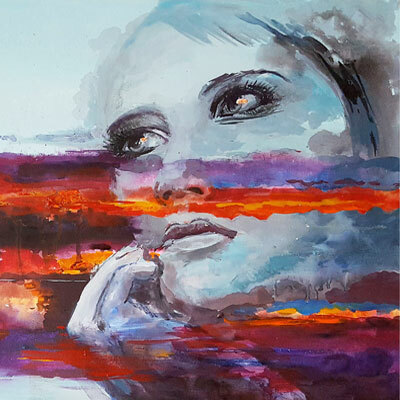 The internationally renowned event is conceived and curated by Francesco Saverio Russo, Salvatore Russo and Sandro Serradifalco with the artistic advice of Serena Carlino, Rino Lucia and Barbara Romeo. Artistic supervision by Paolo Levi. What will be presented to visitors is a significant breakthrough of current creativity, soliciting a culturally qualified exchange. In fact, the Biennale aims to propose visual narratives of artists destined to be remembered over time. A magical scenario capable of giving the guest a contemporary artistic break with many new creative testimonies. Presentation Ceremony: November the 4th at 4.30 pm at the Teatro Sociale of Mantova (Piazza Felice Cavallotti). 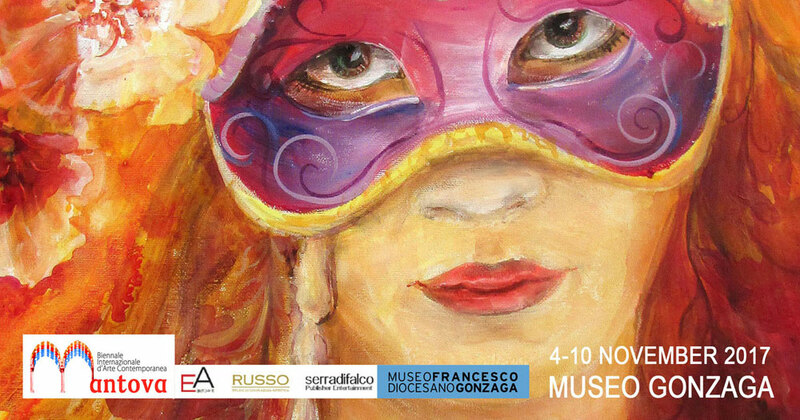 The opening of the exhibition: November the 4th at 6.30 pm at Diocesan Museum Francesco Gonzaga (Piazza Virgiliana, 55). 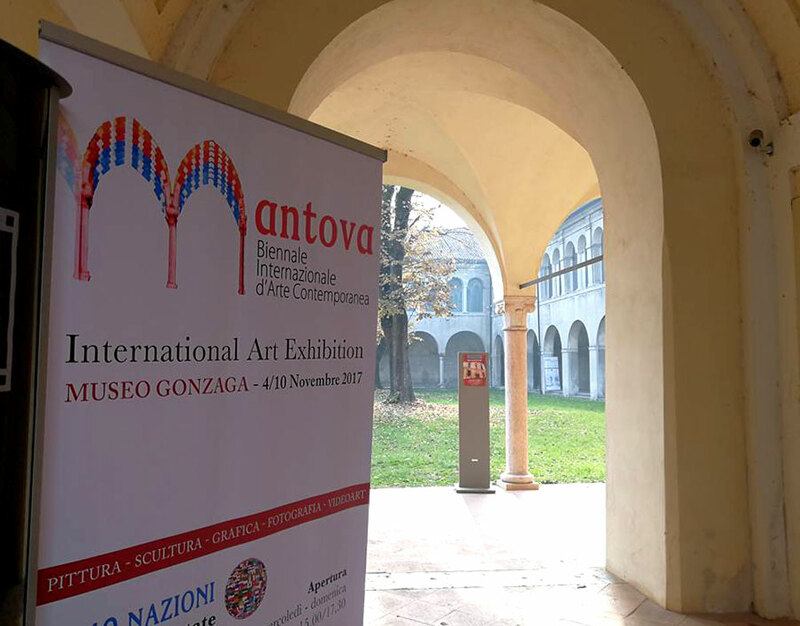 International Biennale of Mantua / 4-10 November 2017 Mantua, Diocesan Museum Francesco Gonzaga (Piazza Virgiliana, 55). Opening hours: from Wednesday to Sunday, 9.30 – 12.00; 15.00 – 17.30. Monday and Tuesday, only open to groups with reservation. 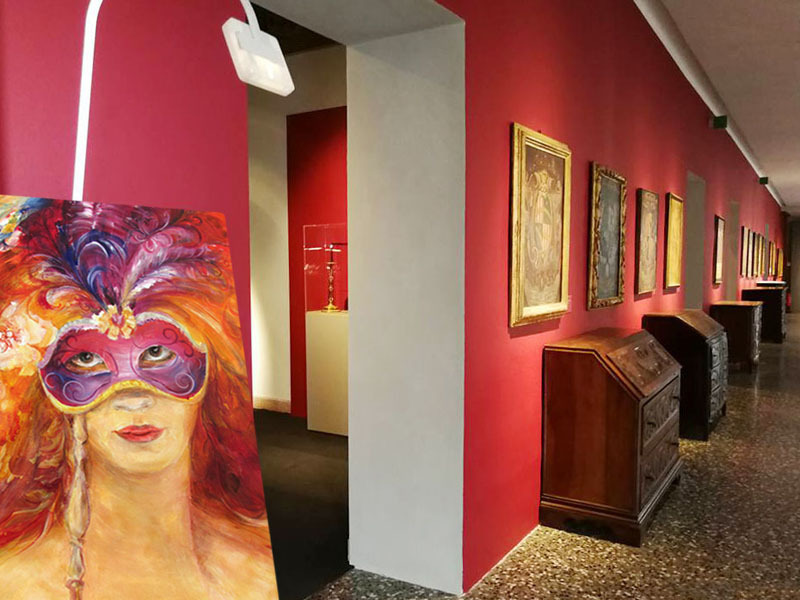 I took part in this art show with my painting “The girl behind the mask”. © 2019 Lana Leuchuk All Rights Reserved. All pictures contained on this website are the property of the artist and may not be copied, distributed, transmitted or otherwise used except with the prior written permission.